This week CJ and The ODI are joined by The ODI's former podcast partner Karen where they discuss Walking Dead, Once upon a time, this weeks finales and what would they do in a Zombie Apocalypse. This week we are joined by the lovely Karen who was part of the ODI LOST Podcast with The ODI many years ago and has joined us this week to talk Once upon a Time and zombies. 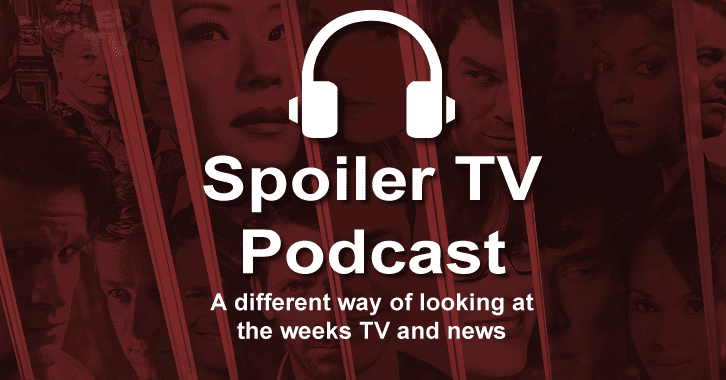 We also chat about the weeks TV news (mainly cancellations and renewals). We discuss the Once Upon a Time finale, person of interest finale, The Blacklist finale and more. CJ aka “CJ Sonic” is a senior staff member at Spoiler TV, co-hosts and edits the Spoiler TV Podcast, co-hosts Spoiler TV's web show "Spoiled" and loads of other things for the site. He has recently started going to cons and dressing in cosplay. Total geek at heart.